Tags: MP3 tutorials, Recording newbie guide. 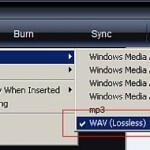 This is an important tutorial on how you can control MP3 and WAV file integrity using an accurate and reliable method. This is rarely done in home studio recording practice but it’s very useful. 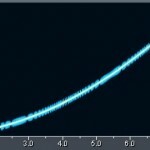 How you are going to use MD5 Checksum in Music Production? 1.) Supposing you are a recording producer assigned to produce a single. You start the recording session and perform several re-takes. You decide the best takes which should be used for the audio mixing session. Let’s say that vocalfinal.wav as the best take for the lead vocals, bassfinal.wav as the best take for the bass guitars, etc. How will you protect the integrity of these files? This is where MD5 checksum can be a big help. It will help you track and verify files to ensure that you will be working with the correct files during the audio mixing. It is easy to get lost in the tracking session, sometimes the files that are submitted for mixing is not correct and may not be the best take as decided by the producer. It’s the recording producer job to list down these files and keep it in a safe place with its MD5 checksum. You will learn more about this later. 2.) After everyone is happy with the mix, you start the mix down. The file is huge because it is 24-bit/96Khz. You will send this mix down to mastering facilities via online. You are concerned that the qualities of your mix down WAV file might get affected during the transit or any unexpected audio processing. Using MD5 checksum can ensure that the mastering engineer is working on the correct mix down WAV file as you have created. 3.) Finally you have the audio CD master. You are concern that there might be alterations and degradations in audio quality due to unexpected digital audio processing or simply wear and tear of storage media. Using MD5 checksum right after mastering can help you ensure that you are keeping the same file as completed by your mastering engineer. 4.) You then convert each WAV to MP3 and embed ID3 tags as well as ISRC on it. You now have your digital master in MP3 format. You want to control the integrity of these files to make sure that you are distributing the correct files. This will prevent any tampering or unauthorized third-party processing of MP3 files which can alter audio quality. MD5 checksum can help you on this. 5.) You are now selling MP3 files online. Your buyers are worried that they might have the counterfeit/pirated copy of your song from other sources. Using MD5 checksum can ensure that your customers are getting the correct files as you have created. Bear in mind that MD5 checksum cannot protect your MP3 files from unauthorized copying and distribution. It simply checks file integrity. Since most counterfeit copies alter the audio or MP3 tags in some manner, using MD5 checksum can verify the original. 6.) You offer any of your audio files for downloading and your recipient wants to be sure that the file is not corrupted.